Shanghai. 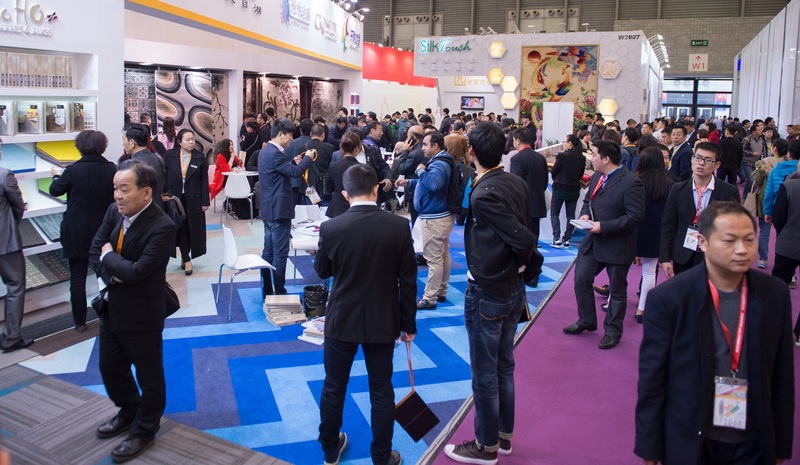 With 3 weeks until SHOWTIME, the 20th Anniversary edition welcomes an All-Star cast of new and returning exhibitors, making up the largest DOMOTEX asia/CHINAFLOOR to date. Due to high demand in all product categories, the show has significantly increased exhibition capacity to accommodate over 1,400 companies. The wood flooring sector will present the latest innovations in solid wood, engineered wood, laminate, cork, bamboo, and WPC flooring. Hall E1, for example will be home to many well-known brands that are visiting the show for the first time including; Junckers, I4F, HKS, and Ribadao. DOMOTEX asia/CHINAFLOOR 2018 is promoting “WPC Decking” as a hot subcategory to accommodate an overflow of outdoor decking and wood flooring exhibitors. One of the highlights coming from E10 is the WPC Decking – VIP Hosted Buyers Program. The business platform involves 50-WPC decking exhibitors and 15-VIP international delegates with the goal of increasing collaboration between Chinese suppliers and global flooring companies. Now covering 5 halls, Resilient Flooring has become DOMOTEX asia/CHINAFLOOR’s largest segment. Extra efforts have also been made to spearhead Sport Flooring as the up and coming niche in this year’s exhibition as participation has risen 57% since 2017. The “Sport Flooring Experience Area” will organize a badminton tournament on a 200 sqm artificial turf pitch and construct an “Ice+Snow Zone”. Attendees have the opportunity to meet and greet with some of the following exhibitors: Gerflor, Armstrong, Tarkett Asia Pacific, Laticrete, Nature Building Materials, Jason Building Material, Yunduce Decorative, Dryadmix, LanGuan, and Nidehigh Technology.